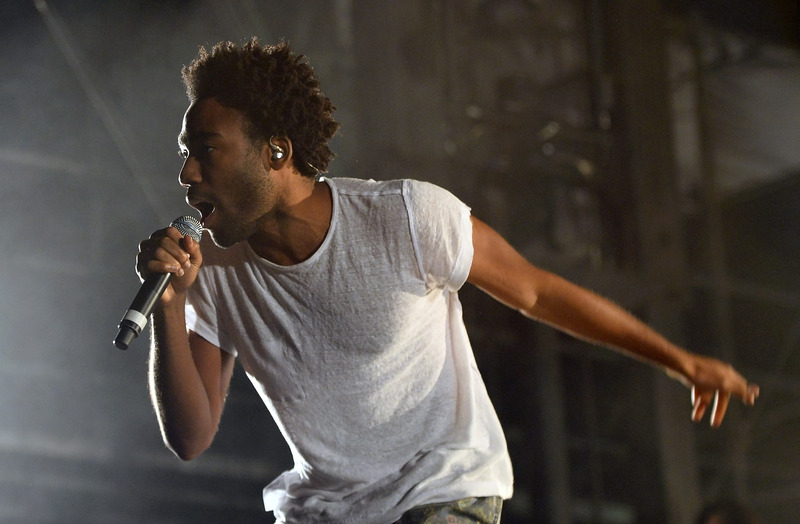 While Donald Glover often projects boyish exuberance, Childish Gambino can occasionally drum up some Twitter rage at his label, Glassnote Records. Today's Twitter rant railed against their premature release of the video for "Sweatpants" and the first blog post about Childish Gambino's Deep Web tour. "Sweatpants" looks and sounds like the next Gambino hit, complete with dozens of Donald Glover twins, which are the visual manifestations of Gambino "doin' me better than you doin' you." The eerie sight of a diner full of Gambinos, coupled with the eerie xylophone makes this a darker side of Donald. Although "Sweatpants" seems great, Gambino alleges that the video release "wasn't handled correctly" by Glassnote, who told him numerous "lies." He implied in a series of tweets that the video and accompanying blog post were posted too early, and that he had bigger plans for the release. For those who have followed Donald's colorful tweets for a while, this might sound like deja vu, because it's almost a carbon copy of his previous slights at Glassnote. He last battled with the record company over the "leak" of the audio for "Sweatpants" last November. Just like today's dissatisfied comments, he alleged was leaked too early, when it "could have been better." For comparison, here are the first few tweets of Donald's rant today, which seem like the well-reasoned complaints of a man who got the short end of the stick. And here are the pair of tweets that started his discussion of the botched leak back in November. While they're not exact copies, it seems that the motivation behind both jabs is a genuine belief that the releases could have been handled better if record companies weren't both money-grubbing and woefully out of touch with the demographic that listens to artists like Childish Gambino. And before you think that Donald is just another angry tweet machine, remember that each time he criticizes his record label, he gives reasoned support for his critiques, and he often reminds his fans that he appreciates them in the process. Whether Gambino follows up on his promise to leave Glassnote for "def jam, atlantic" or any other record company that appreciates waiting until he's ready to release a track, he seems to have the right idea about music. Last month, to support a free concert on the Deep Web tour, Gambino said over two tweets that "im most excited about the performance saturday. because it’s free. the shirts we’re giving away there are free. music should be free. free is important. we want this to be a movement of free thinkers." So Twitter-rage on, Donald, you might be one of the few celebrities with some righteous indignation left.